He made the world for us to see. He sent his Son to tell us so. To love and share and dance and sing. He promised he&apos;d always be there. 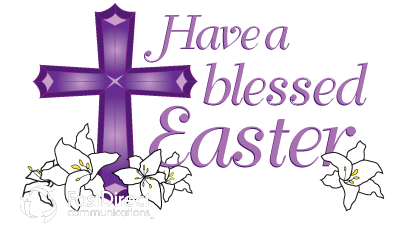 Let&apos;s celebrate for he&apos;s alive! We are reading, exploring and having some fun with Dr. Seuss books! Excellent Work on the "Figure Me Out"
I want to introduce you to our Grade 3 Class Parent - Suzanne Duvalsaint. She will be assisting our class with upcoming projects and events. PLEASE check your child&apos;s Travel Folder everyday - completed tests and work stay home. Only bring back homework assignments that need to be completed and handed in. Be sure your child is not carrying 2-3 weeks worth of papers in the Travel Folder. 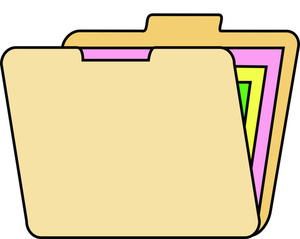 A suggestion: Create a Home Folder to keep completed assignments and tests. And, have some crayons, pencils, and erasers available at home to complete homework and projects. What is DEAR? It is an acronym for "Drop Everything And Read". Once a day, Grade 3 will be dropping whatever they are working on and reading their favorite book for at least 15 minutes. Everyone is invited to come to our close and join in for DEAR time! Students need to continue to work on Lexia in class. Some students will be asked to work on Lexia at home for homework as well. 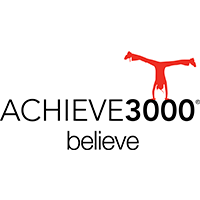 Other students will work on Achieve 3000 at school and complete one article a week for Homework. PLEASE check your child&apos;s Travel Folder everyday - completed tests and work stay home. Only bring back homework assignments that need to be completed and handed in. Students are dismissed promptly at 2:45 p.m. everyday . If a student is not picked up by 2:50 p.m. he/she will be sent to the 3rd floor office to wait. If someone else is picking up the student on a specific day or if there is a change in pick up/dismissal, please email me and let me know. Uniform shoes are to be worn with the uniform not sneakers. Sneakers are to be only worn on GYM days. 1. Math Ready workbook - Review units and areas you need more work in. Complete the following pages: p. 36-39, 94-95, 132-133, 228-229, and 362-363. NY state Math test May 1 and 2. 3. ELA Adjective Phonics worksheet pages 132-133. 3. Religion study for the Chapter 15 Test tomorrow. 2. Science read pages 130-131. Answer #3,4, and 5. 3. Social Studies - Study Chapter 8, grid maps and Women&apos;s History hand out for test tomorrow. Memorize the multiplication table. Study every evening. 3. Social Studies - study Chapter 8 - Government and review grid maps for the Test Friday. Study the hand-out about the 4 women studied during March Women&apos;s History month. 1. Math – Eureka Study Module 5 Fractions - Lessons 1-10 for Test Wed. April 10. Focus on pages 17,25-28, 37, and 38. 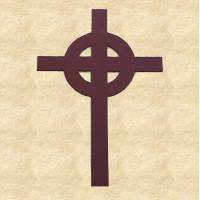 Know the seven sacraments and their appropriate headings. 1. Science – review and study only Lesson 3 - pages 122-127 about roots for Science quiz tomorrow. 2. Math – Eureka Study Module 5 Fractions - Lessons 1-10 for Test Wed. April 10. Focus on pages 17,25-28, 37, and 38. 3. Math Ready workbook Fractions (Unit 4) continue completing the next 4 pages. Spring Pictures tomorrow! Dress up if you are taking photos. If you are not, please wear your Gym uniform. Monday, April 15 - ReadyGen story "On The Same Day in March"
25 sight words "buy" to "south"
Remember to bring RED folders home every Wednesday. Keep forms and letters needed at home and return forms back to school Thursday that need to be signed and returned to the school office. Yahoo! Grade 3 won a Friends and Family Pass to the MET for returning all their RED SCHOOL folders on time!!!!! Tuesday, September 18, 18 5:00-7:00 p.m. Thank you to those parents who have submitted the $20 fee. If you have not had the opportunity to do so, please forward it as soon as you can. A few students are still missing marble notebooks and folders. Please be sure your child has a minimum of 6 marble notebooks (8 marble notebooks is best) and 4 folders. At present, we are now using 6 marble notebooks and all 4 folders. Check the Supply List if to see if your child is missing any other items. Thank you. 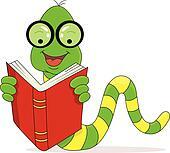 Beginning today, your child will bring home a book to read 20 minutes nightly with a READING LOG due every MONDAY. It will be in a clear Ziploc bag with his/her name. Please be sure your child fills out the Weekly Reading Log and hands it in on Mondays, at which time a new reading log will be given. NOTE: This weeks log begins on Wednesday Sept. 12 (not Monday, Sept. 10). *Homework will be assigned and sent home Monday-Thursday. Encourage your child to do his/her best. Be sure your child completes his/her homework. At times, projects and studying for upcoming tests may involve some weekend work. *All homework will be be written in the student&apos;s notebook labeled "Homework". It will also be posted on the Third Grade Class Page. Be sure that your child is completing the homework as assigned. *Read to or with your child every night for at least 15 minutes. Independent reading - a book chosen by your child will be taken home every month in a bag with a reading log to be completed. Independent reading will begin September 12 and it can be used as the daily reading assignment (20 min. reading every night) or can be an additional reading assignment. *A class TRAVEL FOLDER will be brought home every day. It will have homework sheets, tests that may need a parent signature and at times class notes and updates. A school RED FOLDER will be sent home ONCE a week - every Wednesday (only Wednesdays) and must be brought back to school THURSDAY. Be sure to take out all the required papers and forms found in both the Travel and Red folder and return the folders the next day. *Please be sure all your child&apos;s items are labeled. (backpack, coats, and lunch box). *Dismissal - If at anytime, your child will be dismissed with someone else or will not attend After School a particular day, please email me that morning as soon as possible at cmakar@ccschoolnyc.org. You can also forward a note with your child via the Travel Folder. *Birthdays are celebrated Monday-Friday according to your child&apos;s birthdate. Should a birthday be on a weekend, it will be celebrated on a Friday. Please let me know if your child will be bringing a treat for the class. July and August birthdays will be celebrated the last week of June. *Field Trips will be scheduled during the year. Parent volunteers will be needed and are welcome. *Daily, in the morning we will begin with calendar time, silent reading, Math, and Social Studies. After Lunch in the afternoon, we will continue with Science, ELA (English, Language Arts, Phonics), and Religion classes. There will also be periods of free time after some classes to read and work on laptops. Mondays - Additional Gym/Gross Motor Class with Ms. Makar - only sneakers are needed to be brought to school on Mondays NOT a gym uniform. Starting Sept. 24, be sure your child puts his/her sneakers into his/her backpack on Mondays only. Tuesdays - Gym/PE and Art. Be sure your child is in the school gym uniform with sneakers every Tuesday. Wednesdays - Library. Library will begin the week of September 17th. My name is Ms. Makar (Christine Gorski-Makar) and I am thrilled to be working with your children at Corpus Christi School. I wanted to tell you a little more about myself. I have been teaching for well over 15 years. I am also a counselor/therapist and have worked at many clinics throughout the NYC area. I am from Winnipeg, MB Canada where I received my Bachelor of Education degree from the University of Winnipeg. I received my teacher certification in Canada and taught in elementary schools both in Toronto, ON and Calgary, AB with the respective Canadian Catholic school boards. I received a Masters of Arts from New York University (NYU) in counseling psychology. I am of Ukrainian ethnicity and heritage. I speak the Ukrainian language and am very passionate about my culture and active in our NYC Ukrainian community. I have three children, my husband works with university students and we have a cat named Murko, a turtle and a fish. I have experience in and have taught ballet, jazz, Ukrainian dance, and piano. I love saxophone and played with a jazz band for a long time. Currently, I am part of our church choir in the East Village teach at Saturday Ukrainian school and at times, volunteer as a Girl Scout leader with Plast (Ukrainian Scouting Organization). I am very excited to see your children develop and grow. Looking forward to a successful and fun year in Grade 3! Please feel free to communicate with me at any time. You can email me at cmakar@ccschoolnyc.org or forward a note with your child in his/her travel folder. Welcome Parents/Guardians and Students of Grade 3! Continue to work on the Lexia and XtraMath Programs and continue reading a few books found on the summer reading list. Find your favorite book and read it on the beach, by the pool, on the sofa or even in bed just before you go to sleep. I am looking forward to an exciting and successful year at Corpus Christi with the Grade 3 students. The Grade 3 student goal is to work to the best of his/her ability and continue to grow and develop academically and socially. As a class we will work together, respectfully and honestly. I am your teacher, your guide and I will provide you, the student many tools required to succeed. I will work with each student to meet his/her individual needs and each student will work together with me and their fellow classmates. 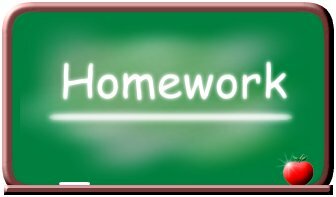 Every student must complete his/her assigned class work and homework daily. If a student has a question, he/she can ask and it can be shared and discussed. We will delve into the exciting subjects of Math, Social Studies, Science and Science Lab, Music, Writing, Religion, PE, Language Arts (Reading), and Art. Of course, we will continue working with the Chrome books as well. 3. Work Quietly AND Focus on You. Please remember to do your best to follow the above rules. Please check the entry titled GRADE 3 2018-2019 Class Supply List. All supplies needed on the first day of school are listed on this list. Finally, Back to School is scheduled for Tuesday, September 18, 2018 from 5:00-7:00 p.m. I hope to see you all there. Looking forward to meeting all of you! We will have a stellar year! *Materials Fee: $20.00 - Cash Only.